Why is there no weather on the moon? Is there sound on the moon? Is it ever day on the moon? Why do astronauts bounce around on the moon? How old is the moon? From Apollo 11's first landing to the mystery of moonquakes and the genesis of craters, this stunning introduction to our nearest neighbor in space describes the moon and its all-important relationship to Earth. Mesmerizing full-color photography and an informative text perfect this exciting and educational journey in space. The Moon by Seymour Simon has not been rated for age or fabulousness yet on TheBookseekers. There are currently no reviews for this book on this site. Click on the + buttons to include your own ratings! 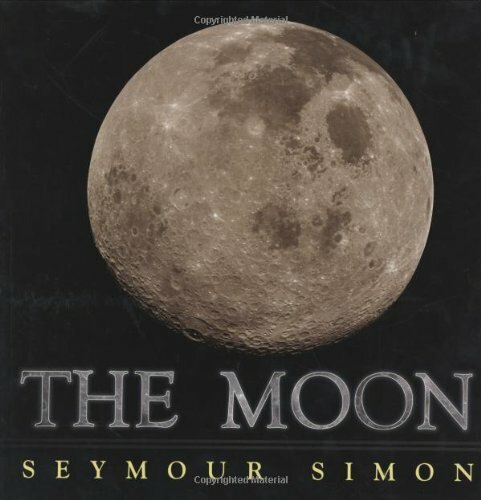 The Moon was written by Seymour Simon. It was written for young readers to enjoy.